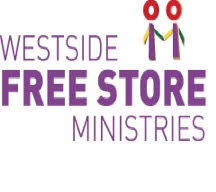 The Westside Free Store Ministries is a faith-based, 501(c)(3) charitable organization designed to share resources, build relationships and create community on Columbus’ west side. Through the volunteer effort and generosity of many people, the Westside Free Store serves thousands of people in need each year. Since opening our doors in August, 2004, we have become known as a hospitable community resource. Lunches are served every Saturday and guests may shop for clothes and small household items several days a week.